The Jamaica Driver & Road Safety Expo offers a singular opportunity to present product and service information at the largest Road Safety Exposition in Jamaica where a wide cross section of the Jamaican Road Users come and engage in a full day's activities. The exhibit area will be open for set up from 10:00-9:00 pm, Saturday, June 16, 2012. The show will officially close at 9:00 pm. The show will be held in the Ranny Williams Entertainment Centre. 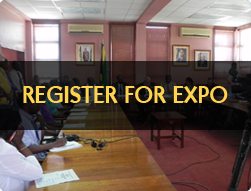 Expo participation will be boosted by wonderful entertainment package, key note speakers within the tranportation industry and guest performances from local artiste. Please read over the form to ensure the data entered is accurate. N.B. Cost for back, inside back and inside front is $35,000.00. Electricity supply for booth will be provided on specific request. I have read the information and I accept the terms and conditions contained herein, including the acceptance of my application as constituting a contract, and that neither the organizers nor contractors shall be liable for loss or damage to goods or properties of the sponsors or exhibitors. This also indemnifies the organizers from any suit or claims, from any damage or personal injuries by whomever sustained, arising out of the exhibitor's participation in this expo. GRENNELS DRIVING SCHOOL WILL NOT BE RESPONSIBLE for bank charges or fees associated with their payments. A deposit of 50% must be received for exhibit booth space to be assigned.